Don is one of the handful of Vernon realtors® who were the founding members of ReMax way back in 1988 and has consistently been a top producer ever since. Although technically not "old" he could be described as "very experienced" with 20 years of Vernon and area real estate expertise. Don's hard work ethic and commitment to customer service have evolved his real estate business from busy realtor®, to busy realtor® with assistant(s), to the present team structure to better serve the needs of buyers and sellers while still providing personalized service. When not assisting clients listing or selling homes Don can usually be found either at home or at Silver Star with wife Sue and children Crystal, Sarah, Leah and Jacob. Although client and family needs dominate the majority of Don's time he has been known to "knock off" the odd time for a water-ski, snowboard or a round of golf. When you call Karen, you can be guaranteed that you will receive her undivided personal attention to all of your real estate needs. Karen began her real estate career after a successful career in the financial industry. She has spent the past 18 years in the Vernon area, raising four teenagers, helping husband Glenn build a successful contracting business and enjoying the Okanagan "lifestyle". When not in the office or showing homes, Karen can likely be found at one of the local arena's or soccer fields cheering on her kids and their friends/teammates. Karen promises to deliver confidential, dedicated and reliable service to all her clients and understands that your family needs are important and would consider it an honour to work with you. Robin moved to Vernon 20 years ago to spend one ski season in BC and never left. He immediately fell in love with everything the Okanagan has to offer and knew this was the place he wanted to call home. With his wife Jacquie and three kids Jacob, Emma, and Claire, Robin is always on the move skiing, watching the kids play hockey or soccer, and going camping, hiking, or golfing. After a successful career in tourism at Silver Star Mountain, Robin is excited to put his excellent customer service and marketing and sales skills to the test in real estate. Robin is well known in the Vernon community to be a hard working and outgoing individual with a passion for helping people. With the guidance of Don Defoe and his team of expert realtors you can be confident that Robin will be committed to helping you achieve your goals and dreams when buying or selling your next home. 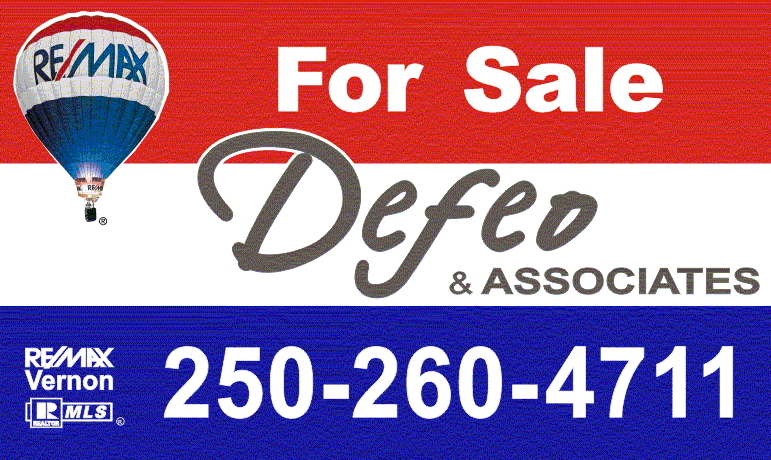 Tracy heads up the sales/conveyancing and administration departments of the Defeo & Associates team. If you buy or sell with Defeo & Associates she will be the liaison to your Realtor® and the other professionals in your transaction. Her business, customer service and problem solving experience provide her with the skills, aptitude and attention to detail to ensure all goes smoothly with your buying or selling experience. If you are a buyer, she will assist your licensed Realtor® with the research and behind the scenes customer service functions of your purchase and if you are selling your home, she will manage the marketing, advertising and web exposure of your property. Tracy knows Vernon very well and has lots of practical local knowledge. The Defeo & Associates Customer Courtesy Van is available to all current and past clients absolutely free of charge and is perfect for local and short distance moves. It was recruited to the team in 2003 after it experienced an unfortunate corporate downsizing from Budget and replaces a distant but older cousin whose age prevented it from providing clients with reliable and excellent service. The new Defeo & Associates Customer Courtesy Van is an easy to drive 16’ cube van with automatic transmission, gas engine, flat surface box, extendable ramp, and is equipped with appliance and box dollies, and a few moving blankets. Although free of charge clients are required to pay their own fuel and any damage. Bookings are on a first come policy. Tipping is discouraged but is allowed in special circumstances. A huge benefit of the Defeo & Associates Team is the synergy, professionalism, enthusiasm and experience of the larger team at ReMax Vernon. Approximately 60 licensed realtors®, 30 administrative assistants and 6 support staff contribute to make ReMax the perennial powerhouse in the North Okanagan. Although approximately 280 realtors® work the North Okangan area ReMax consistently represents one half of all the sellers and one half of all the buyers. If you have a real estate experience chances are your home will be sold by a ReMax agent or you will buy a ReMax listing (or both). If you have not yet picked your real estate professional yet no one has more homes for sale, more buyers looking for homes, more experience or productively per person. ReMax is the only logical choice. The real estate market of today has become much more complex and more specialized. Strata properties, bare land strata communities, confusing financing options, building schemes, home builder warranties, home inspection pitfalls, encroachments, probate, court ordered sales, Goods and Service Tax, capital gains, are just a few things that may need an “extra” level of expertise. Don and the realtors® of Defeo & Associates have relationships and alliances with all the professionals you will need to ensure your transaction goes smoothly. So in fact you do not just get a realtor® or more appropriately a team of realtors® you get a complete professional team.